On Saturday, Aug. 11, something happened at The Shop on Washington Avenue that had never happened before. The oyster shop ran out of oysters. That’s like a coffee shop running out of coffee. But it wasn’t the employees’ fault, and it wasn’t some kind of strange oyster shortage. Blame it on the food gods who, a few days earlier, anointed Portand Bon Appétit’s Restaurant City of the Year. In a story first published online, the magazine told its readers “you could easily spend your entire afternoon at The Shop at Island Creek Oysters.” And those readers happily took the publication up on its suggestion. Portland restaurants, especially those named in Bon Appétit’s September Best New Restaurants issue, have been rejoicing – and reeling – from the after effects of the magazine’s glowing coverage of the city’s food scene. Business is up – way up, in some cases. Summer tourists are seeking out the restaurants mentioned by Bon Appétit, and locals are visiting for the first time, discovering the gems in their own backyard. Social media has exploded with love for Portland, with restaurants gaining hundreds of followers from all over the country, practically overnight. Restaurants are reporting that tourists are using the Bon Appétit piece as a foodie bucket list, or “punch card,” for Portland. They’re trying to visit every place that Bon Appétit mentioned in its article. 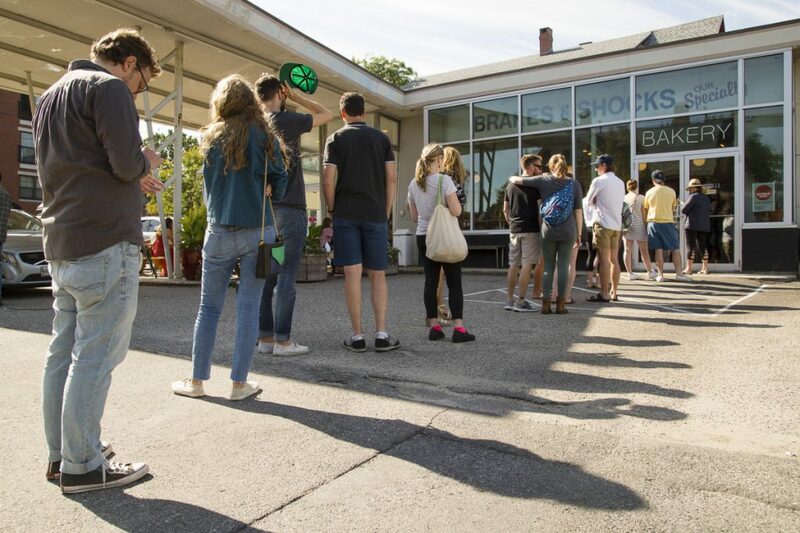 “It’s like a treasure hunt or something – the Bon Appétit food crawl,” said Kit Paschal, manager at The Shop, who has heard lots of customers talking about it. 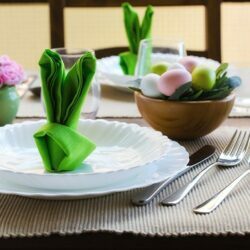 Restaurants are welcoming all the new business, of course, but it comes with a downside. Staffs are strained. Inventory is spread thin. The Shop wasn’t the only place that ran out of food in the days after the big announcement. Rose Foods on Forest Avenue ran out of bagels for a few days, and bakeries such as Belleville on North Street and Tandem Coffee & Bakery on Congress Street ran out of croissants and other pastries. Paschal started worrying about The Shop’s oyster inventory on Wednesday, just a day after the Bon Appétit story was published. Like hungry seabirds, customers lured in by the national recognition were slurping oysters down their gullets as fast as the staff could shuck them. “It was an actual feeding frenzy,” he joked. Paschal first called Maine oyster growers to see if they could re-supply the restaurant. Those calls yielded a couple of extra bags (a bag contains 100 oysters), but Paschal could see by the end of the week that it wouldn’t be nearly enough. 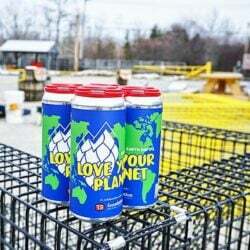 So at 5 a.m. that Saturday, Paschal found himself driving down to the oyster mother ship in Duxbury, Massachusetts, to stock up. He scored 20 bags from the company truck that had just made a run to Cape Cod, and he brought back five bags of Maine oysters that had been previously shipped to Massachusetts for sale. But before he could make it back to Portland, The Shop ran out. Pastries on display at Belleville in Portland. The restaurants named in the Bon Appétit story had no advance notice that Portland was about to be thrust onto the national food stage. One or two places knew that Editor-at-large Andrew Knowlton had been in for a visit, and in some cases the magazine returned later to take photographs, but restaurant owners weren’t told what the photos were for. The night the Bon Appétit story was published, the owners of Cong Tu Bot declined to predict its likely impact on their business, although Knowlton had piled on the praise: “Actually, everything I tried at Vien Dobui and Jessica Sheahan’s lively Vietnamese street food spot was brimming with herbs, heat, and soul,” he wrote. Since then, business has doubled on weeknights, and on the weekends it’s up by 60 percent, Dobui said. Observers of the local economy have said it’s hard to predict the long-term impact, but they expect the coverage to boost interest in the city and attract more food-loving tourists. Last year’s winner – the city of Chicago – has definitely seen long-term benefits, said Sam Toia, president and CEO of the Illinois Restaurant Association. 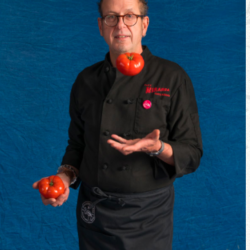 “An acknowledgement of this caliber, without question, furthers awareness with locals and also augments our efforts in promoting Chicago worldwide as a culinary destination,” Toia wrote in an email. Chad Conley, owner of Rose Foods on Forest Avenue, said he’s noticed “quite a big bump in business” since Bon Appétit described it as “a Jewish deli that’s worth its weight in legit bagels.” Rose Foods was also named to the magazine’s Top 50 list of nominees for Best Restaurant in America. 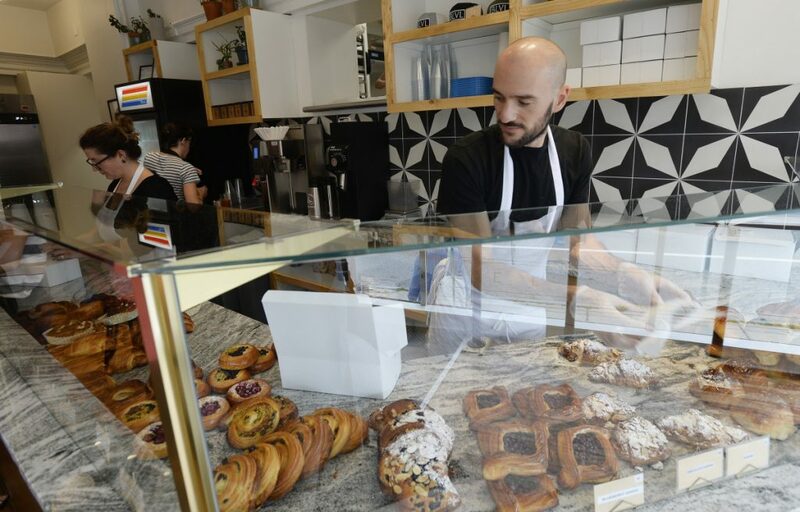 Chris Deutsch, owner of Belleville, packages up pastries for customers last weekend. 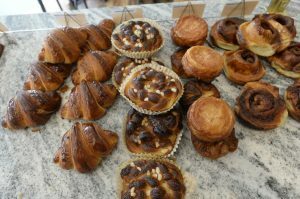 On the Saturday and Sunday after the City of the Year announcement, the tiny East End bakery sold out of croissants – and all of its other pastries – in a single hour. Case in point: Belleville, a new bakery on Portland’s East End, whose croissants Bon Appétit called “the best and butteriest” in the city. On the Saturday and Sunday after the City of the Year announcement, the tiny bakery sold out of croissants – and all of its other pastries – in just a single hour, according to Belleville owner Chris Deutsch. The shop opened its doors at 8 a.m. and once the pastries were gone, there was nothing to sell until the pizzas started coming out of the oven a couple hours later. Weekdays have also been busy. “We have been selling out pastries and pizza every single day since then,” Deutsch said. “We’ve definitely increased all of our production as well. It’s a good problem to have, I guess.” Pastries are lasting until about lunchtime, he said, and pizzas are sold out by 2 p.m., an hour before the bakery’s usual closing time. Deutsch said his staff has been working more hours and hustling to increase production a little more each day because “we don’t want anyone to assume we will be sold out.” But, he adds, it takes 72 hours to make croissants. The buzz has been good for Tandem’s coffee shop on Anderson Street, as well. Many of the customers visiting the bakery on Congress Street appear to be out-of-towners, Pratt said. Regulars who just want their morning cup of coffee have been going to the Anderson Street shop instead, boosting business there. At Rose Foods, people are showing up before the doors open, Conley said. More customers are coming in on ordinarily quiet weekdays, and the weekend after the Bon Appétit splash was the deli’s biggest since it opened a year ago. Conley has had to increase its bagel production by 75 percent. He’s also had to adjust his ordering because a lot of products that come from out of state, such as the whitefish and pastrami, can be ordered only once a week. Restaurants are concerned about the strain on their staff. Gradual growth is one thing, Dobui says, but a 60 percent increase overnight is something else entirely. He was already worried about August staffing because some employees were planning to take vacation time. He’s had to add an extra person to the front of house, and he’s had to be in the kitchen more often himself. “Everyone is just working longer hours,” he said. At Ten Ten Pie on Cumberland Avenue, sales are up an estimated 40 percent, according to Markos Miller, and much of that growth can be attributed to first-time customers. But then Bon Appétit praised his temaki hand rolls, and in an interview with the Press Herald, Knowlton compared Rubin’s sushi favorably to sushi from Los Angeles and Tokyo. The next Saturday, food at all three of his carts sold out – in one case, in just three hours. The following Monday, parked at a local brewery, Rubin once again sold out a cart in three hours. And then Wednesday, at the Portland Farmers’ Market, “It was insane,” he said. “We had a huge line.” Everybody mentions Bon Appétit, he said. He’s hoping the “hype” will spill over into the fall, when he opens a stationary spot in the Public Market House. Diners are also showing their love for Portland online. Belleville got at least 1,500 new Instagram followers. Tandem now has 1,000 more followers on the social media site, and The Shop picked up 350-400. Conley said Rose Foods saw a 25 percent increase in Instagram followers over two weeks, “and the level of engagement has been pretty high, too.” Cong Tu Bot nabbed another 700 followers, and the restaurant’s website traffic soared from some 100 visitors a day to 1,600 the day Bon Appétit made its announcement. A FLING, OR THE REAL THING? The big question for all these restaurateurs now is: Will it last? Deutsch, owner of Belleville, said he “absolutely” thinks the long-term effect will be beneficial and lasting. So does Pratt, owner of Tandem. For the owners of Drifters Wife, which also made Bon Appétit’s “Hot 10” list of the Best Restaurants in America, the recognition has not only validated their hard work but – they hope – given them a glimpse of the future. Orenda Hale, who owns the restaurant with her husband Peter, said the restaurant has been through slow times, and has always been “a small, scrappy place” where the staff works extremely hard. But Drifters Wife had been having a good summer; even before Aug. 7, the 47-seat restaurant was already operating at capacity. If the growth is here to stay, she’d like to make some improvements, such as adding staff. One thing is for sure: She sees the attention as a delicious blessing.